​Igneous rocks are formed from the cooling of magma (a very hot liquid found underneath the Earth's surface). The name 'igneous' comes from the Latin word 'igneous' which means fire. In that notion, igneous rocks occur when molten rock turns into solid either below the earth's crust to create intrusive igneous rocks or on the earth's surface to create extrusive igneous rocks. They are rocks that are produced via heating followed by solidification through cooling. The heated component is the magma which is made up of partially or fully melting material of original rocks in the crust of the earth. These rocks are continuously subjected to extreme heat, intense pressure changes and distortion in composition. Their minerals and overall chemistry provide needed information regarding: the components of the mantle from which igneous rocks originate from, the heat and pressure levels that led to their formation, and the original rock thatdisappeared. Their exact ages can be gotten from different types of radiometric dating and can therefore be compared to the nearby geological elements. This generates a time series of events. Their properties are typicallythe characteristics of a particular tectonic surrounding. This allows geologists to conduct tectonic reconstituting. In some situations they carry vital metal ores. For example, andorites and granites carry uranium, tin and tungsten, while gabbros carry chromium and platinum ores. How Are Igneous Rocks Classified? The classification of the igneous rocks may give us vital information regarding the conditions under which they were created. Particles and size are variables applied in the classification of these rocks. The particles and size of a rock are greatly dependent on the cooling history and the mineral properties of the rock. Some basic minerals that are vital in the formation of igneous rocks include: quartz, olivine, feldspars, micas, pyroxenes and amphiboles. All other minerals that are also present are considered as unnecessary in almost all types of igneous rocks. These unnecessary minerals are known as 'accessory minerals'. Geologists normally use igneous textures to know the processes involved in forming a particular type of igneous rock. The main types of igneous textures are: aphinitic, glassy, pegmatite, phaneritic, porphyritic and pegmatitic. Igneous rocks with this texture usually occur from the rapid crystallization of lava. The extrusive rocks cool very quickly, therefore their minerals form fine crystals which cannot be seen and distinguished by the naked eye. Andesite, basalt and rhyolite possess this type of texture. This texture forms when lava from a volcanic eruption cools very rapidly such that no crystallization occurs. This results in an amorphous glass that has little or no crystals. Obsidian and pumice rocks have this type of texture. This type of texture is formed when magma cools and some minerals increase in size extensively. The sizes may range from some centimeters to quite a number of meters. Pegmatite displays this texture. This texture is seen in plutonic igneous rocks, which underwent slow crystallization underneath the surface of the earth. When magma cools at a slow pace, the minerals are able to increase in size and have large crystals. The crystals can be seen and distinguished by the naked eye. Diorite, gabbro and granite possess this type of texture. This texture is caused by the rapid change of conditions as the magma continues to cool down. The minerals that had been created earlier, by the slow cooling magma, will posses large crystals. The remaining melt will form a fine-grained matrix due to the sudden cooling. This results in an aphinitic rock with several bigger crystals enclosed in its matrix. The porphyritic texture can also form when magma is crystallized under a volcano but eruption occurs before the crystallization is complete. As a result, the lava formed crystallizes much faster with smaller-sized crystals. Pyroclastic textures form when violent volcanic eruptions throw the lava into the atmosphere creating fragmental and glassy materials. These materials eventually fall to the surface as lapilli, volcanic ash and volcanic bombs. In a less complicated classification, igneous rocks are distinguished on the basis of the kind of feldspar they contain. Rocks that contain feldspar are further distinguished according to the existence or absence of quartz. Rocks that lack feldspar or quartz are further distinguished on the kind of iron or magnesium element present. Rocks that have quartz, with silica, are termed 'silica-oversaturated'. Those with feldspathoids are termed as 'silica-under saturated', since feldspathoids are unable to coexist in a stable state with quartz. Igneous rocks that contain crystals huge enough to be viewed by the naked eye are known as 'phaneritic'. Those that have crystals that are too tiny to be viewed are known as 'phanitic'. In general, phaneritic suggests an intrusive origin whereas phanitic suggests an extrusive one. Igneous rocks that have bigger and clearly detectable crystals enclosed in a fine-grained matrix are called porphyry. Porphyritic texture arises when a number of the crystals increase significantly in size prior to the main mass of the molten rock crystalizing as a fine-grained uniform component. These are formed when the hot molten rock (magma) cools down slowly beneath the earth's crust and solidifies into rocks. Intrusive rocks are naturally very hard and are usually coarse-grained. Examples are gabbro and granite rocks. These are formed when the hot molten rock (magma) spills over to the earth's surface due to volcanic eruption. The magma, which is now termed as lava, cools quicker on the earth's surface to create fine-grained igneous rocks. Examples of such rocks are basalt, pumice and obsidian. Molten substances exist underneath the earth's crust and are usually subjected to intense pressure and high temperatures (that can be up to 1200°C). As a result of the immense pressure and temperature changes, the molten substances may at times flow up to surface leading to a volcanic eruption. Eventually, they cool and solidify to form extrusive (volcanic) igneous rocks. On the other hand, some of the molten substances may cool and solidify beneath the surface of the earth at a slow pace to form intrusive (plutonic) igneous rocks. It is due to the immense temperatures and pressure changes that igneous rocks lack organic materials. The molten substances interlock and undergo crystallization as the melt cools down to become solid in nature. As time passes, the melt becomes a hard rock consisting of crystals with no pores. Furthermore, it does not show any uniform grain alignment. The rock can be composed fully of a single mineral or a variety of minerals. The size of the rock is dependent on the cooling process. Quick cooling leads to smaller-sized crystals whereas slow cooling leads to larger crystals. There exists at least 700 known kinds of igneous rocks. A lot of them are created underneath the earth's crust because volcanic eruptions do not occur very frequently. Andesites are simply fine-grained extrusive indigenous rocks that are light gray in color. They consist mainly of plagioclase minerals that are mixed together with hornblende, biotite and pyroxene. Basalts are fine-grained volcanic rocks. They are dense and appear in dark-gray color. They mainly consist of plagioclase and pyroxene. Basalts are the most common form of solidified lava and are utilized in building and construction processes. Diorites are coarse-grained intrusive igneous rocks. They are made up of a mixture of minerals such as pyroxene, hornblende, feldspar and at times quartz. Diorites are light in color with some darkened spots. Fire opals are flamingo orange, yellow or red colored igneous rocks. They are seen as the most fascinating geological rocks and they occur in rhyolite. They are created long after rhyolite has cooled and water that is rich in silica may flow inside the rocks. The water usually leaves deposits of gems like agate, Jasper, topaz and opal in the openings of the rocks. Gabbros are coarse-grained intrusive igneous rocks which are dark in color. They consist of mineral elements such as feldspar, pyroxene and at times olivine. They are usually gray in color and have small spots. Gabbros are used to form concrete aggregate, ballast for rail roads and road metal. Granites are coarse-grained intrusive igneous rocks that are light in color. They consist of 3 major minerals which are: mica, feldspar and quartz. They may be gray, tan or pinkish which depends on the size of the grains and concentration of the 3 minerals. Granite is largely used in architectural construction and for making ornaments due to its strength and availability in large quantities. Obsidians are dense extrusive igneous rocks that are dark in color. They are created when lava cools rapidly without crystalizing. They are dark, but are clear in slim pieces. This is a type of igneous rock which results from the crystallization of molten rock that is full of rare minerals. It is made up of granite and is really coarse. Pegmatite usually consists of elements that are not in the other areas of the magma chamber. It is light in color. This is a coarse-grained intrusive igneous rock that is made up mainly of olivine. It may also have little amounts of elements such as amphiboles, feldspar, pyroxene and quartz. This is a porous and vesicular igneous rock that results from rapid solidification of magma. The porousness and vescularity of its texture is caused by the gas trapped in the molten rock as it undergoes solidification. Pumice stones are commonly used as abrasive components in products such as Emery boards and hand soaps. These are fine-grained extrusive igneous rocks that are light in color. They are usually made up of quartz and feldspar minerals. They normally possess a smooth surface. 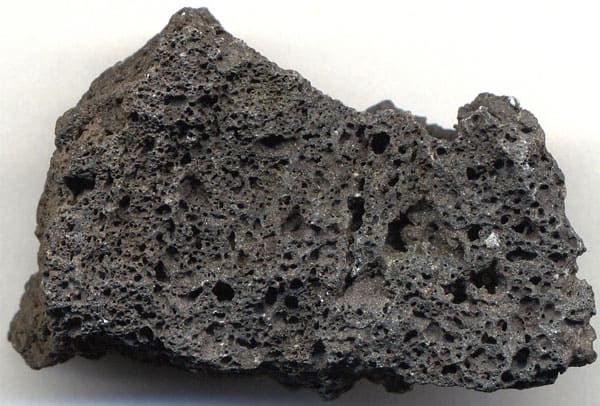 Just like pumice, scoria is a porous and vesicular extrusive igneous rock. Its porousness and vascularity seen in its texture is caused by gas that was trapped in the magma while it solidified. It typically forms as a bubbly crust above lava as it moves down from the volcano and settles down with some gas trapped within. This is a volcanic igneous rock composed of the components that are discharged from a volcanic eruption. The discharged components fall down on the earth's surface and turn into rocks through lithification. Welded tuffs are mainly made up of volcanic ash and sometimes they have huge particles like clinkers. That was all about igneous rocks here today. Let us know if you want more info on any specific realm. Your interaction matters, cheers!